Mary is the final boss of Silent Hill 2 and is encountered after climbing a metal stairwell at the end of the Otherworld Lakeview Hotel. If Maria in the "Leave", "In Water", and "Rebirth" endings, he rejects her and this causes her to transform. If Mary in the "Maria" ending, she is angry about James needing Maria and blames him for her death and then proceeds to attack him, initiating the final boss fight. However, it is ambiguous if this truly is Mary. She appears as a version of Mary's diseased corpse displayed in a metal frame, similar to the Flesh Lip, likely referencing Mary's hospitalization. She is suspended in the metal frame, screaming and upside-down. The frame has sharp spikes at the end, referencing Mary's pain and suffering. Mary wears some sort of triangular hood, restricting her head movement. The hood appears attached to the frame as if she is unable to escape from it. The hood also has a massive, long, dark tentacle which Mary can use to strangle James. James facing Mary on Lakeview's roof. Mary has multiple attacks. One attack is spewing forth a swarm of moths from her mouth in order to injure and delay James, as the insects are flesh-eaters, although she only tends to use this attack when James is far away from her. She can also hit James with the frame she rests in, use her tentacle to strangle him, or use her tentacle as a whip, provided that he is within range. She takes quite a bit of damage before falling, so saving up ammunition for the encounter would be recommended, though it is not necessary; she eventually falls herself. It is very difficult to attack her with a melee weapon due to the metal frame and tentacles she uses. The rifle is the best choice to fight her with. After she falls to the ground, she whispers James's name repeatedly. One last blow to the now-helpless monster ends the fight. This article or section contains speculation, analysis or theories which may not be officially approved. Mary lashing out at James. According to the Book of Lost Memories, Mary's form represents and "embodies James's conflicted emotions towards Mary during her final days." When Mary was ill, she had overwhelming feelings of anger, sorrow, pain, loneliness, helplessness, denial, and a deep disgust in her body due to her disease. She felt her predicament was unfair. As Mary said in her letter, "When I first learned that I was... going to die... I didn't want to accept it", Mary was conflicted and confused about her true feelings- sometimes, she told James that she wanted to die- at other times, she told James she didn't. She lashed out violently at James, much like this boss does. The metal lattice probably symbolizes Mary's sense of confinement in being bedridden due to her illness. Ironically, Mary can also use the tentacle to strangle James, similar to his asphyxiation of her. The monster wears some sort of tight headgear meaning her hair isn't visible. This could be a reference to Mary's hair loss caused by her disease. Alternatively, the hood- which resembles that on a nun's habit- may reference Mary and James's state of forced celibacy due to her illness. The monster wears a dress that is very similar to what the Bubble Head Nurses wear, possibly referencing Mary's hospitalization. In turn, James was also conflicted and confused about his true feelings, such as whether or not he could still love Mary, whether or not he still loved her, whether or not how he acted to Mary during her illness was "right" (James also didn't visit Mary in the hospital often), whether or not he tried hard enough to find a cure for Mary (James looked through medical books in hopes of finding something), whether or not he could live without Mary, etc. To add onto this, James killed Mary prematurely by suffocating her with a pillow, raising even more philosophical questions and confusion. In the "Maria" ending, "Mary" guilt trips James, meaning the monster is also symbolic of James's guilt. As previously noted, the monster wears a dress similar to the Bubble Head Nurses, which could symbolize Mary's hospitalization and James' subsequent sexual deprivation. In all of the endings (except the "Maria" ending), the boss actually is Maria, meaning that the boss is also probably symbolic of Maria to a certain extent, and may symbolize some of Maria's own feelings. In essence, the boss could symbolize the duality and dual nature between Mary and Maria. It could also represent Maria's anger and frustration towards James for rejecting her. 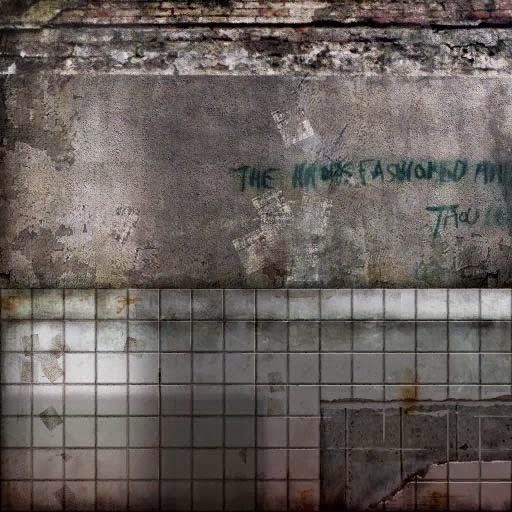 Despite this, the boss is still simply called "Mary" in the Book of Lost Memories, likely referencing James's confusion between Mary and Maria since throughout Silent Hill 2, James often mistakes Maria as Mary. He even does this in some of the ending routes (the cutscene before the boss, not the actual ending itself). As shown in Born from a Wish, Maria possesses some of Mary's memories. Comparatively, Maria has a butterfly tattoo on her abdomen, which represents rebirth. James once attempted to give Mary some flowers, but she rejected them. It is known that moths are attracted to flowers and devour them, so the moths may be symbolic of Mary rejecting James's kindness. The moths may also symbolize Mary's disease eating away at her, taking away all the life she has left. 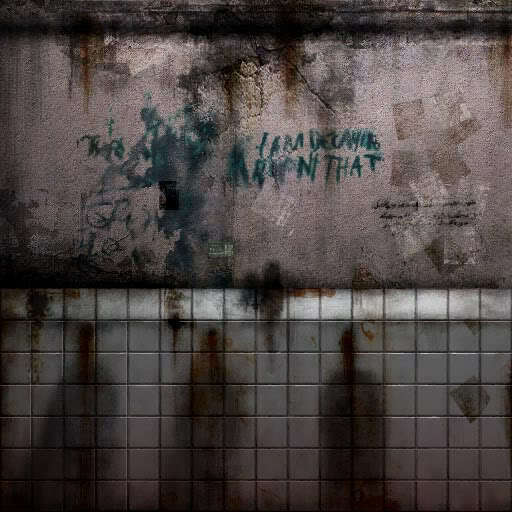 In the observation deck, a quote from Job 13:28 can be found on a wall saying, "While I am decaying like a rotten thing, Like a garment that is moth-eaten." This is likely a reference to Mary's disease. In the same room, more writing from Job 10:8 can be found: "Thy hands fashioned and made me; and now thou dost turn about and destroy me." This could be a reference to James giving Mary happiness and later murdering her. Moths can also be found in Room 202 of the Wood Side Apartments and are attracted to James's flashlight. Before this, James found the flashlight on a mannequin wearing Mary's dress. Unlike in other games, James doesn't jump in a hole or go downstairs to start the final battle. Instead, he ascends from the basement to the first floor to fight the Pyramid Heads and then higher to meet Mary. Depending on the ending, Maria or Mary says something different before transforming. In the "Leave" ending, Maria says, "No! I won't let you! You deserve to die, too, James!" In the "Maria" ending, Mary says, "James, do you really think I could ever forgive you for what you did?!" In the "In Water" ending, Maria says, "I'll never let you have your MARY back!" In the "Rebirth" ending, Maria says, "Oh James... C'mon James! You must be joking!" Mary dies without attacking James. If James stands in a certain spot, it may be possible for Mary to die without attacking James. However, this may not be possible in all versions of the game. It is possible that Maria/Mary couldn't control her own actions as a monster and never intended to physically harm James. In concept art, the lattice has a red underside to it. This red underside doesn't appear in-game. Videotape glitches and Mary transformation comparison. Mary's glitch-like transition is visually similar to videotape distortions. Mary has some kind of triangular hood appearing during her transformation process. Defeating Mary in the Silent Hill HD Collection awards the trophy/achievement "Say Goodbye". Mary's frame in the top left. 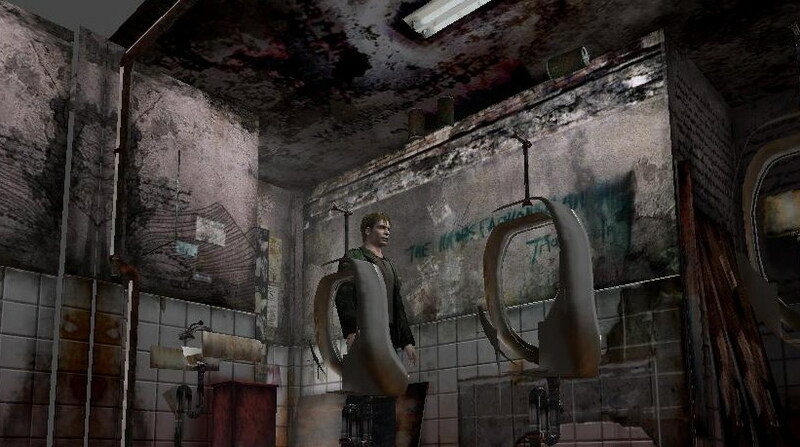 Mary makes a cameo in Silent Hill: Shattered Memories. She can be seen floating in the corner of Dr. Kaufmann's office during the UFO ending. Mary/Maria's final form is one of the few monsters that are conscious and can speak in their monstrous forms, the others being the Prisoners, the Twin Victim, the Bottom, Leonard Wolf, Momma, the Steel Guardian, Monocle Man, Alessa, Lucas, Ben, and Karen. "You deserve to die too, James!" Mary drops to the floor. Mary writhing on the floor. Mary in the Silent Hill pachislot.